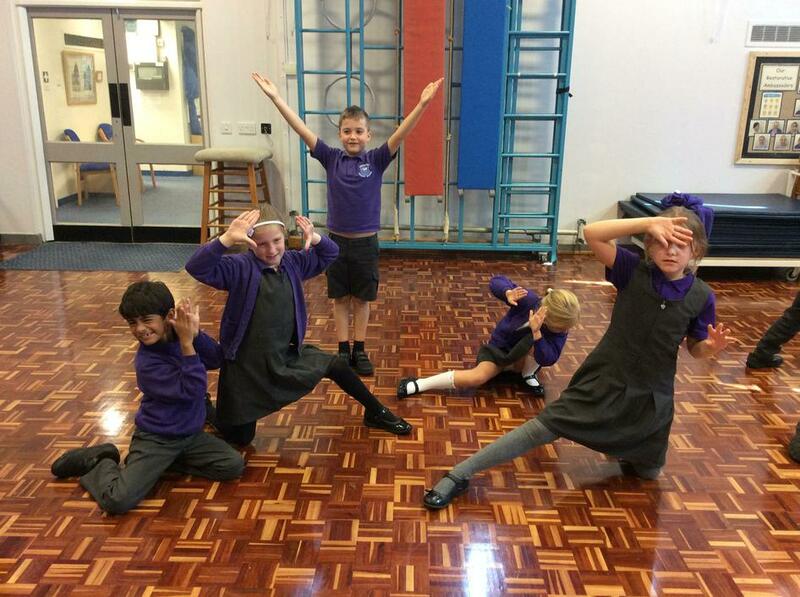 Welcome to our Year 3 class page. 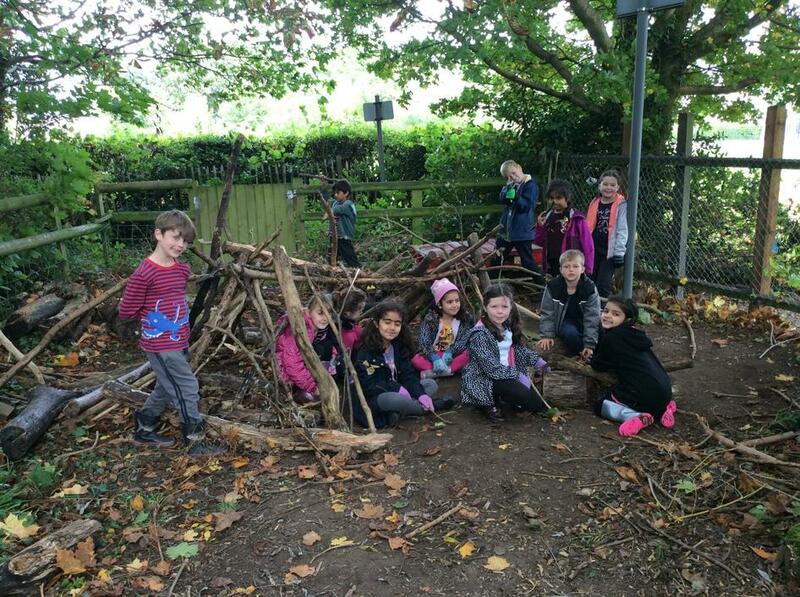 Here you can see some of the learning that has been taking place in and out of our classroom. 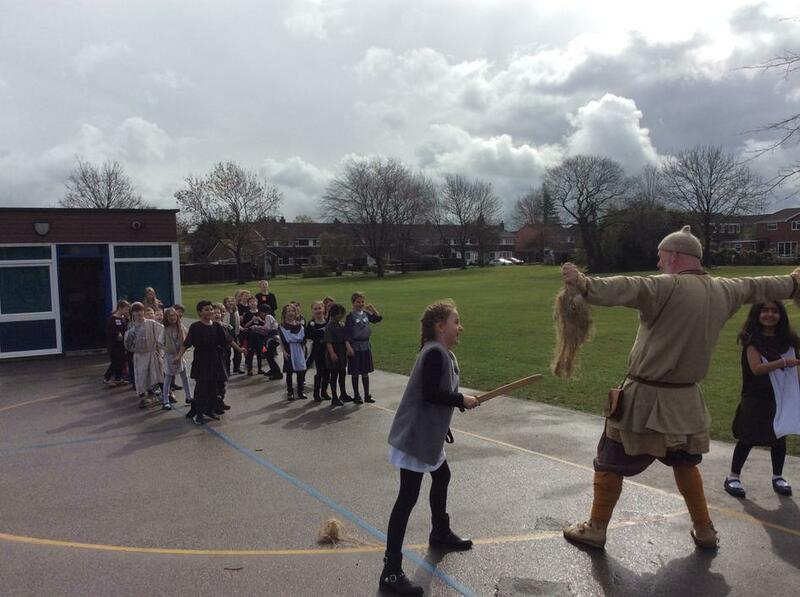 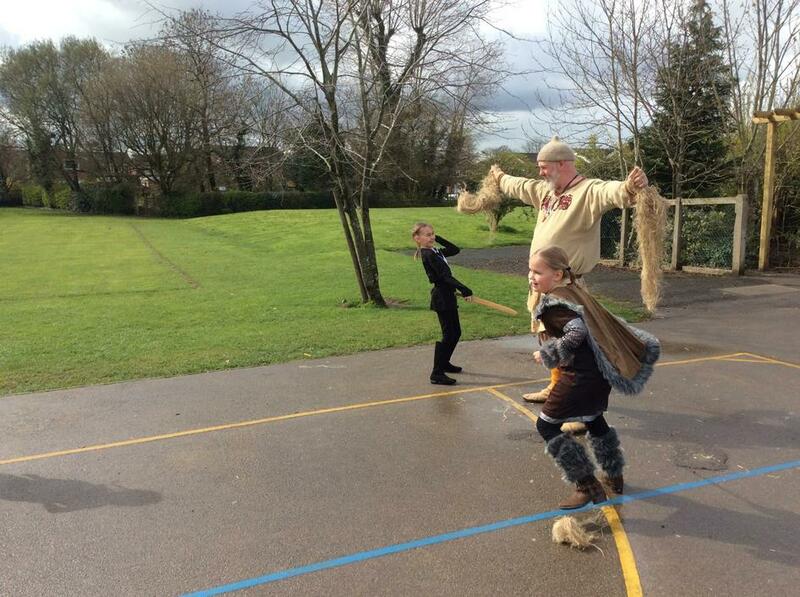 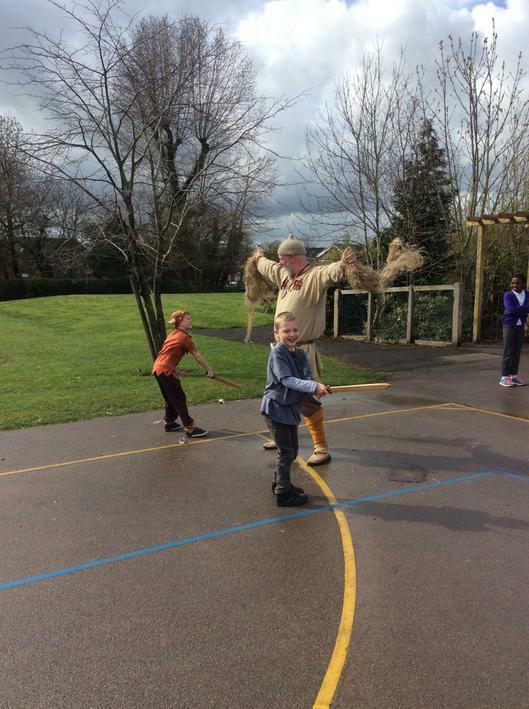 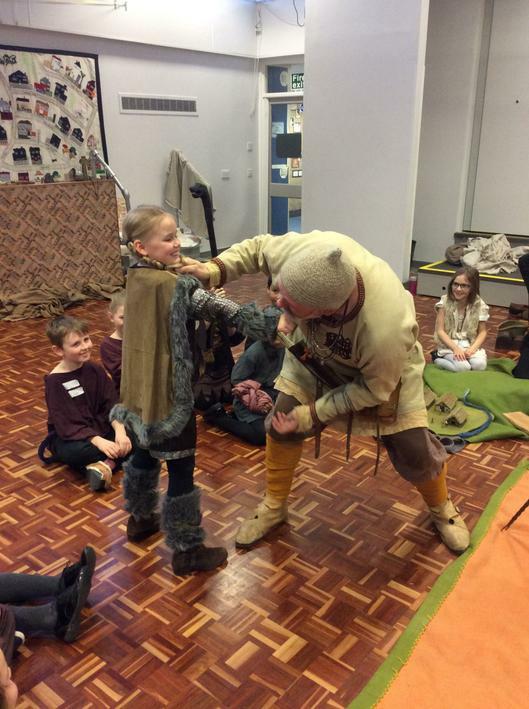 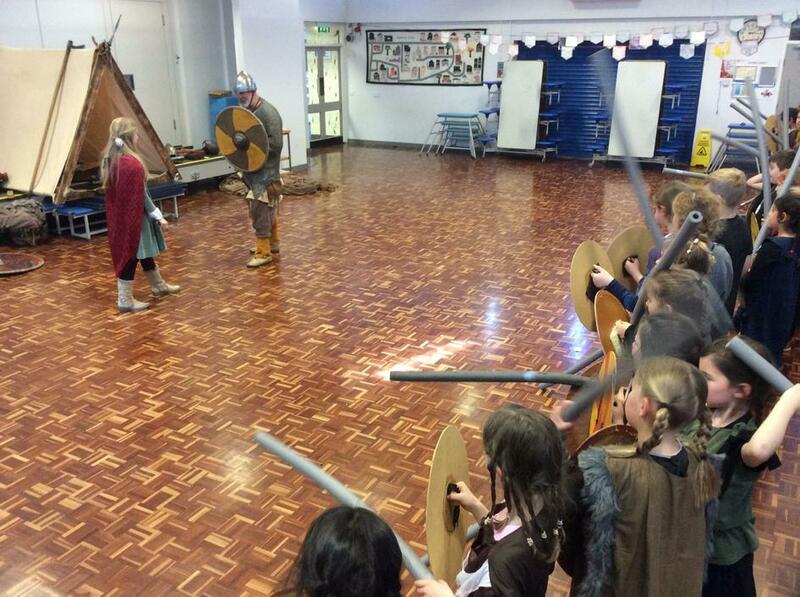 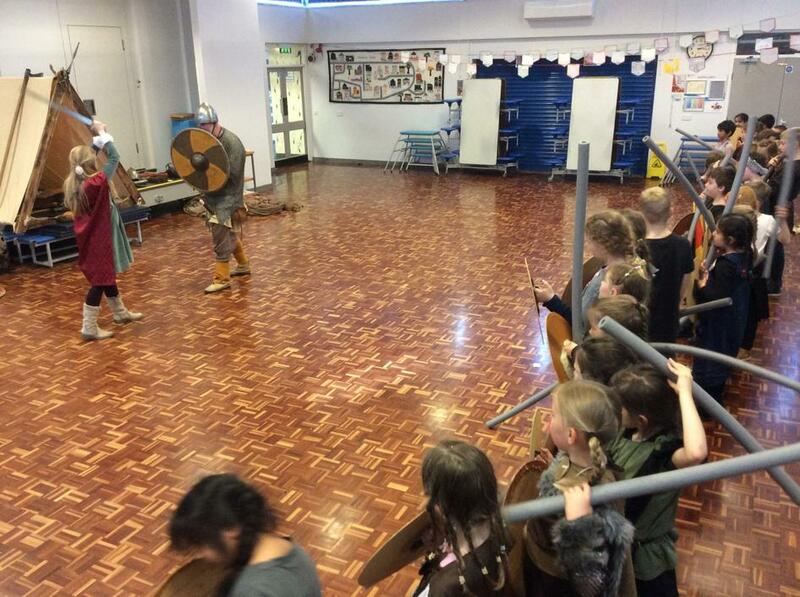 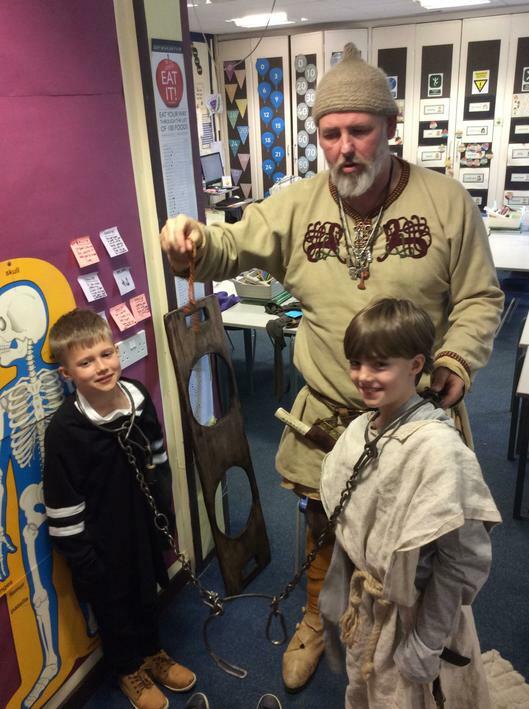 This week Year 3 had a special visitor Njal the Viking. 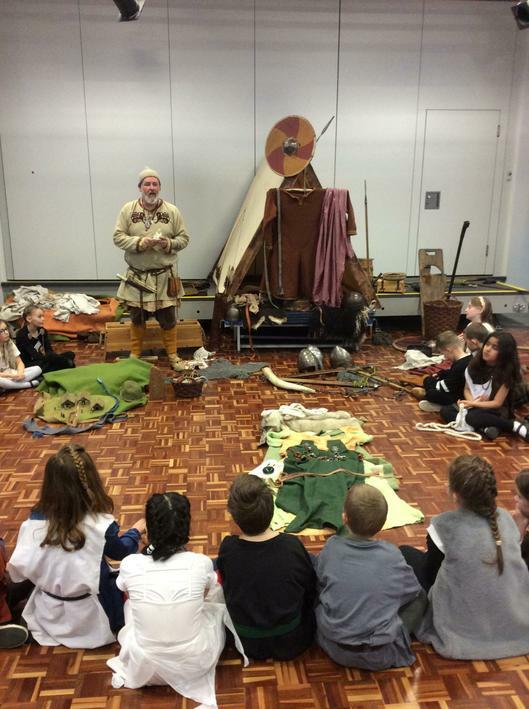 He came to tell us more about Viking life and how the Vikings lived all those years ago. 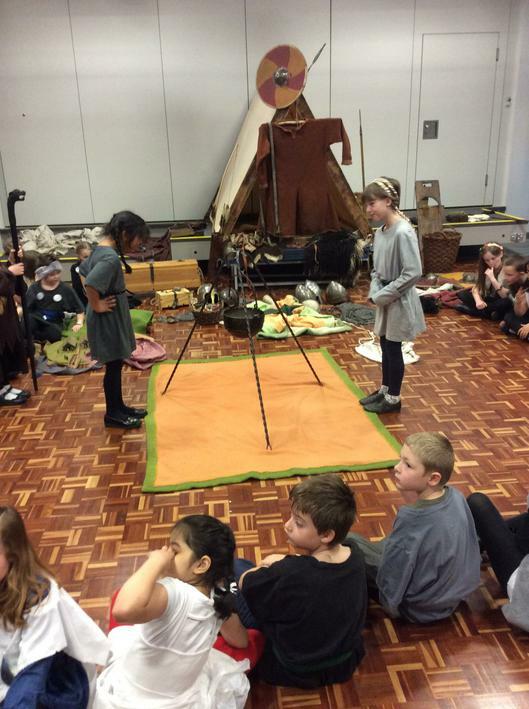 The morning started with introductions and some bargaining at the thing followed by making underwear and fire. 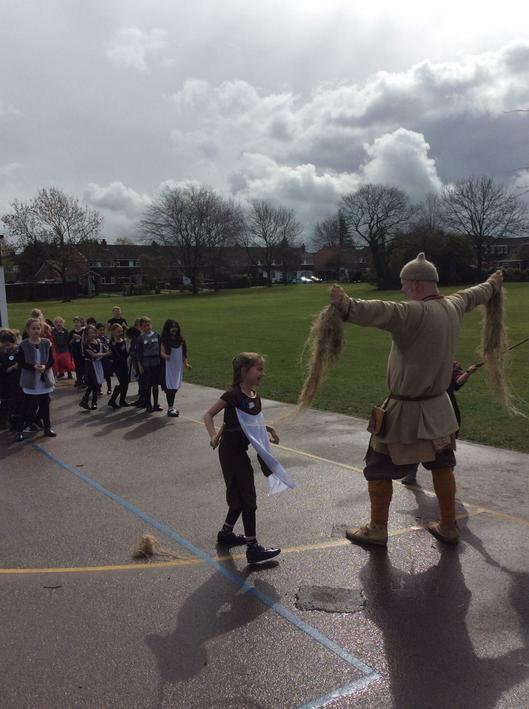 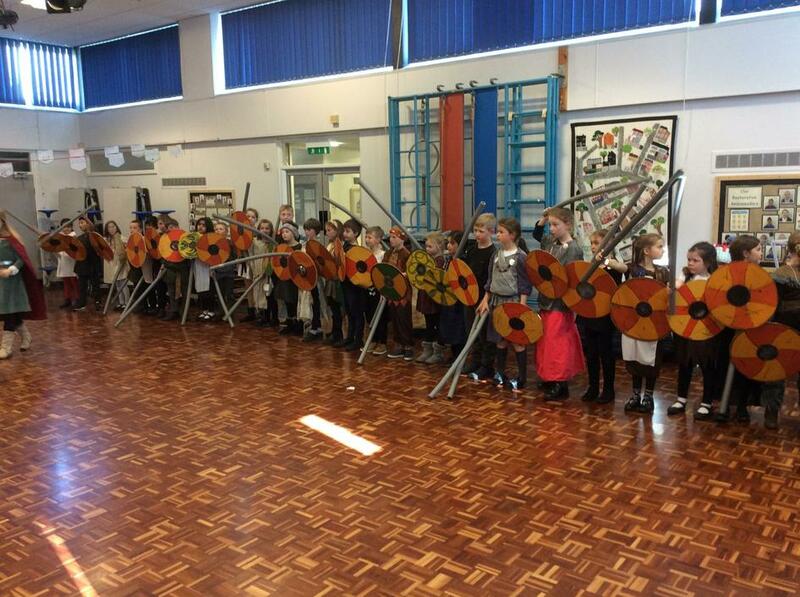 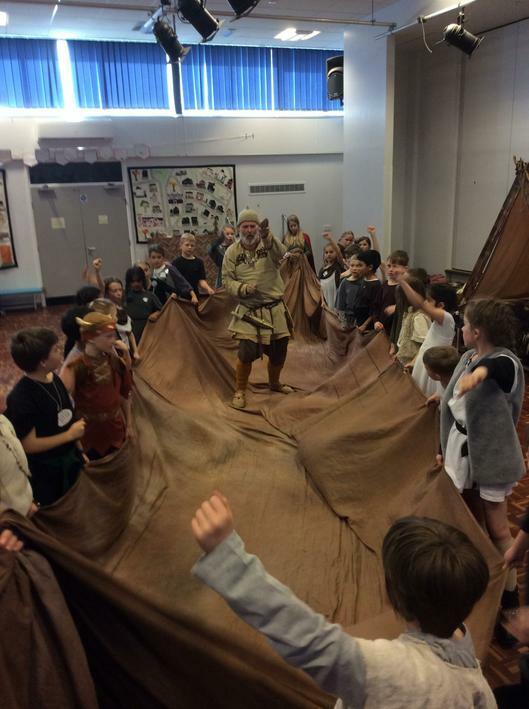 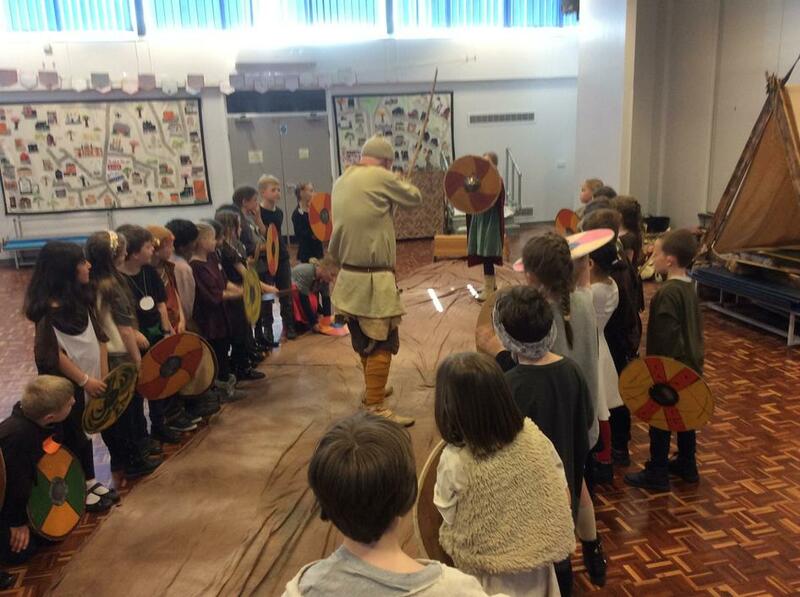 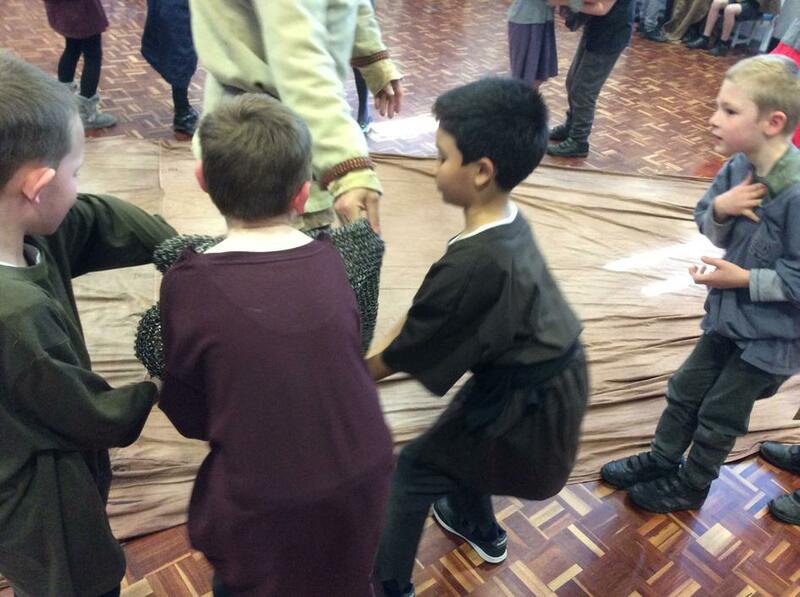 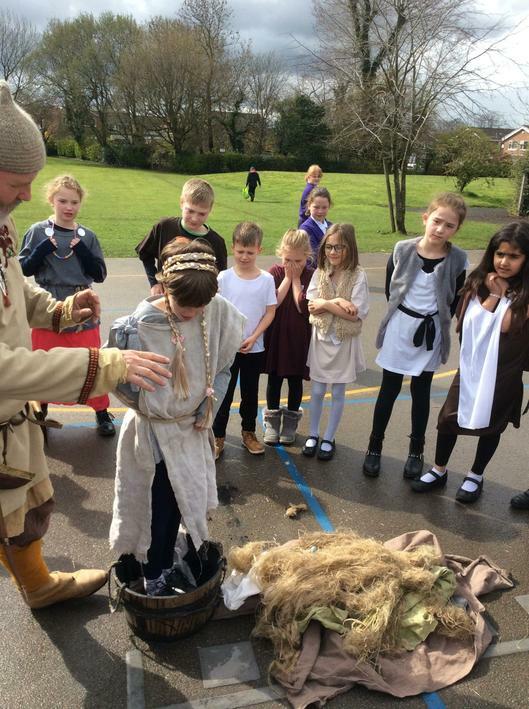 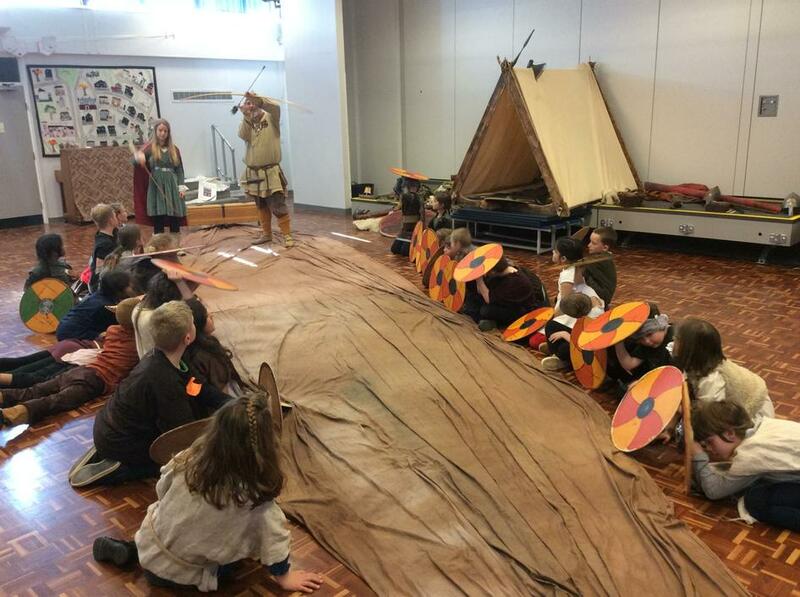 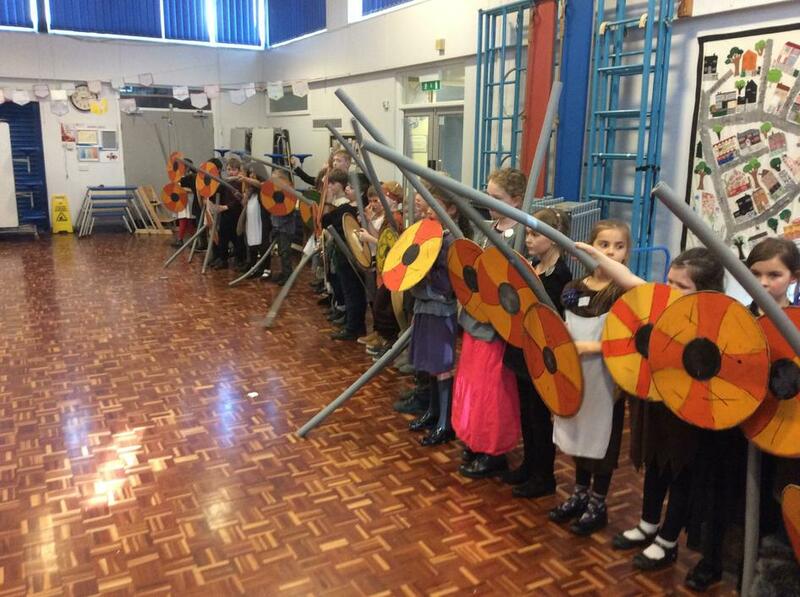 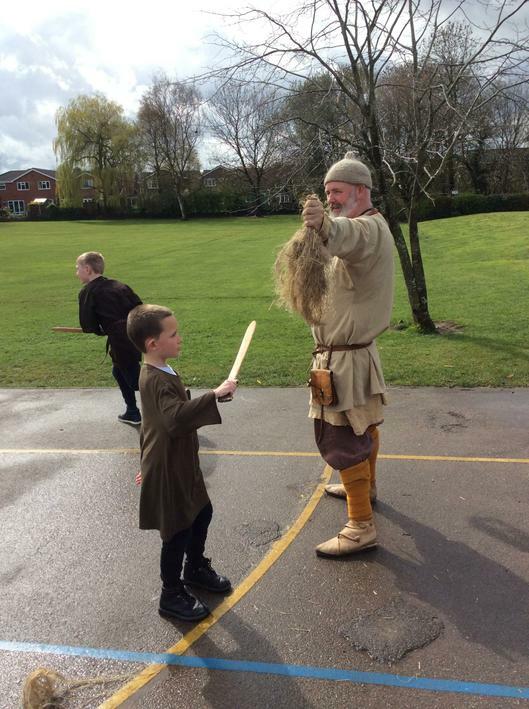 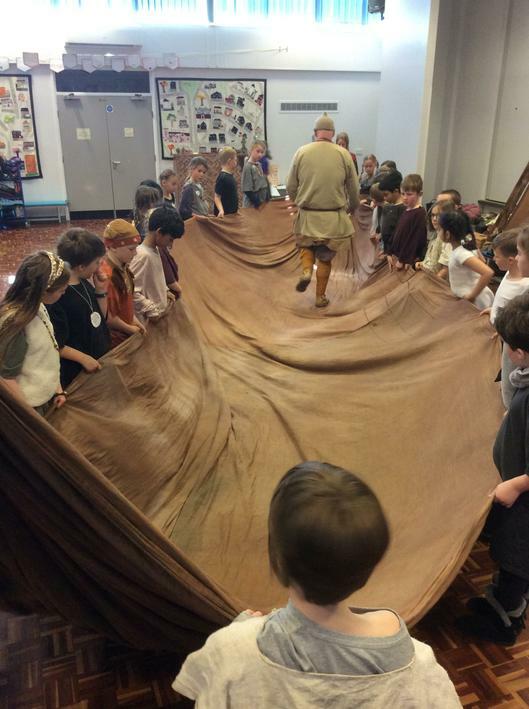 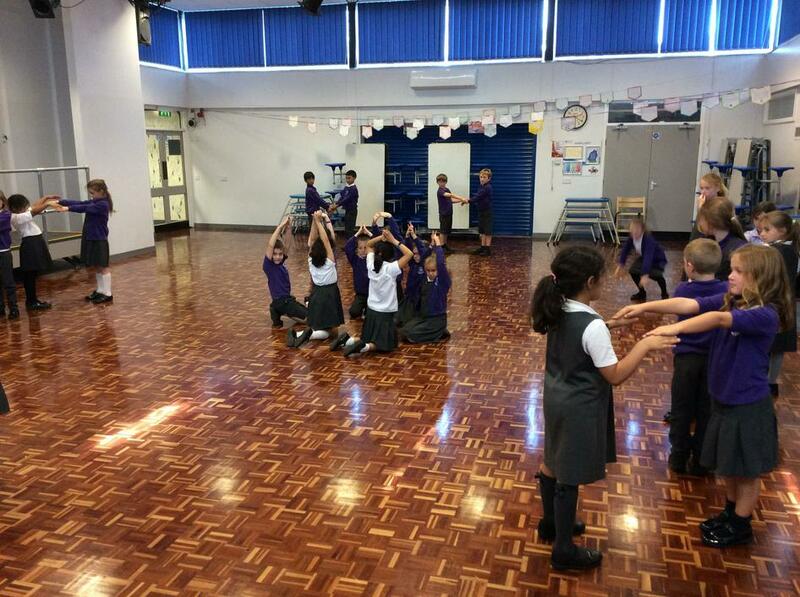 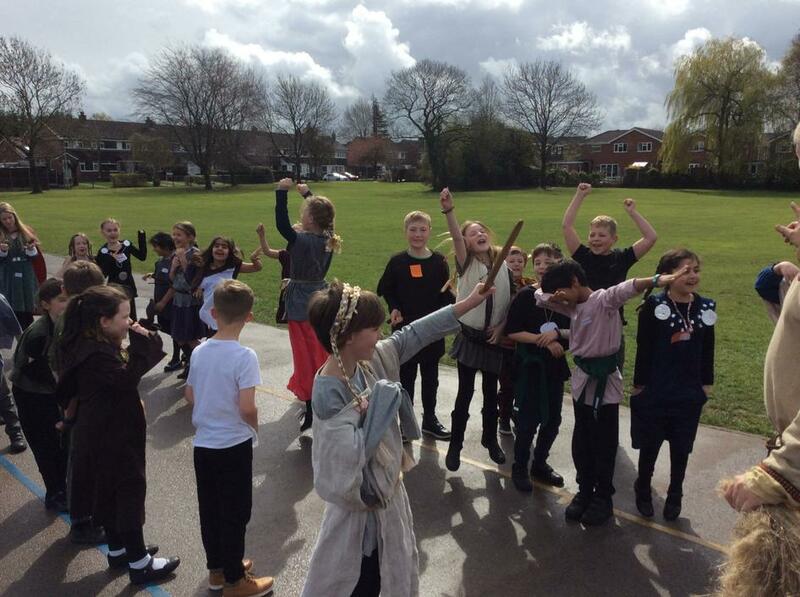 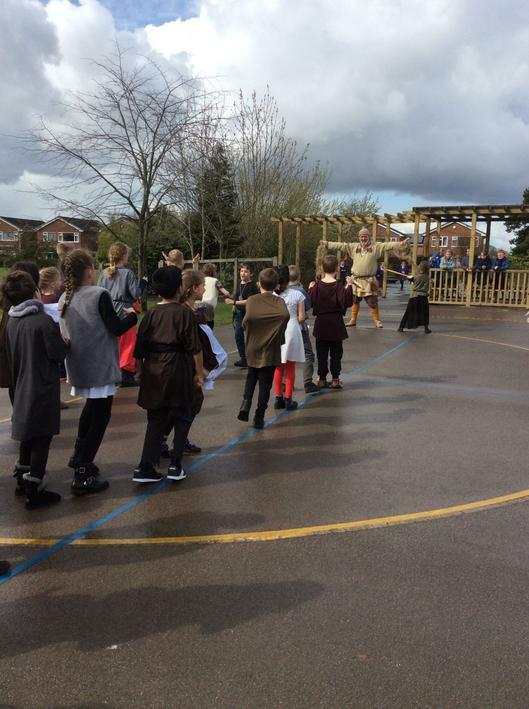 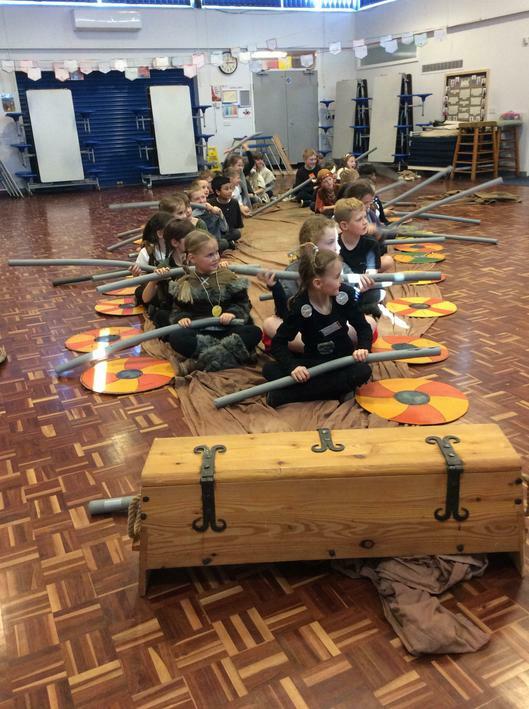 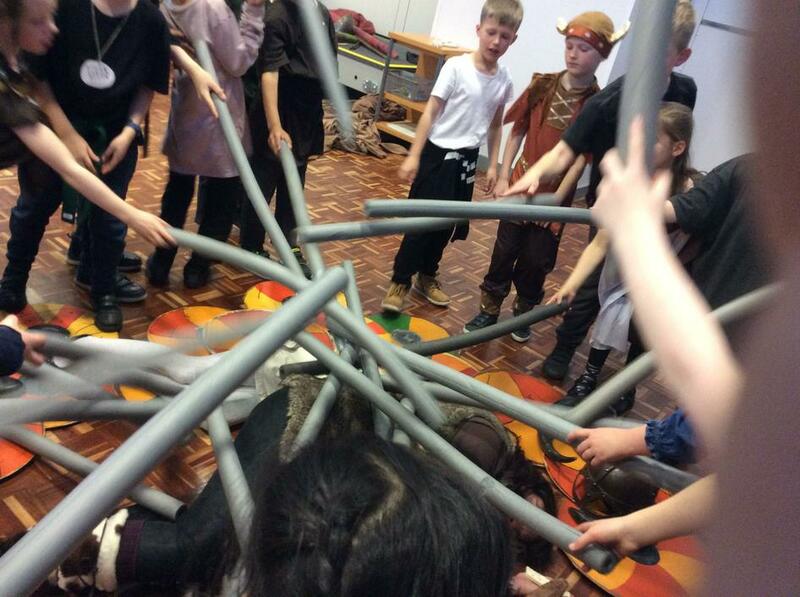 After lunch Year 3 explored elements of Viking daily life, created a longship, learned about Viking warfare including the raid on Lindisfarne and finally said goodbye to a Viking killed in battle. 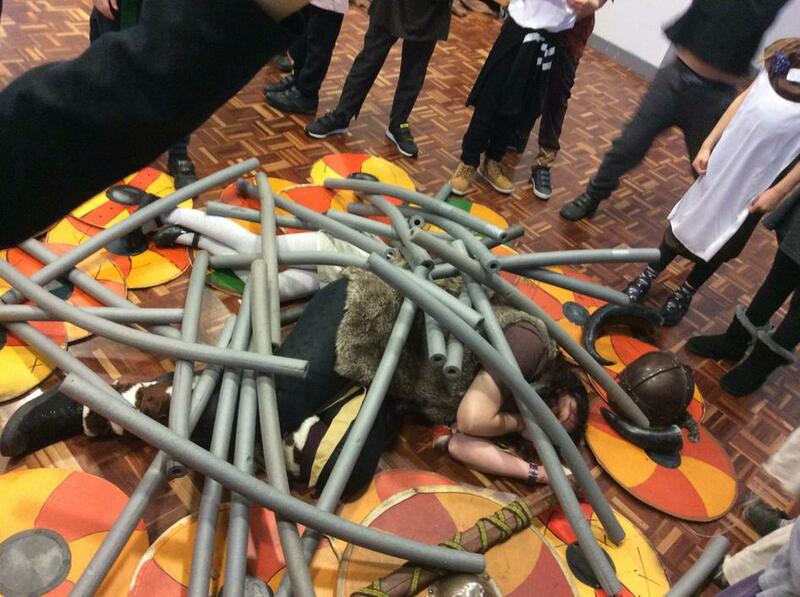 There are some photographs below. 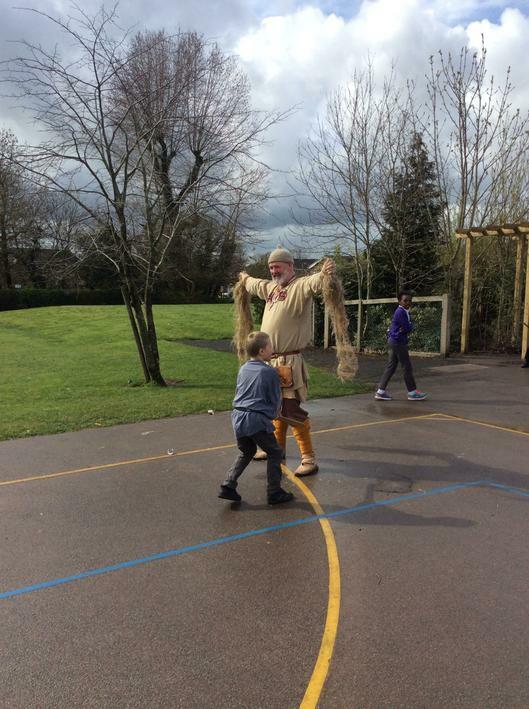 This week Ladybrook had a very special visitor. 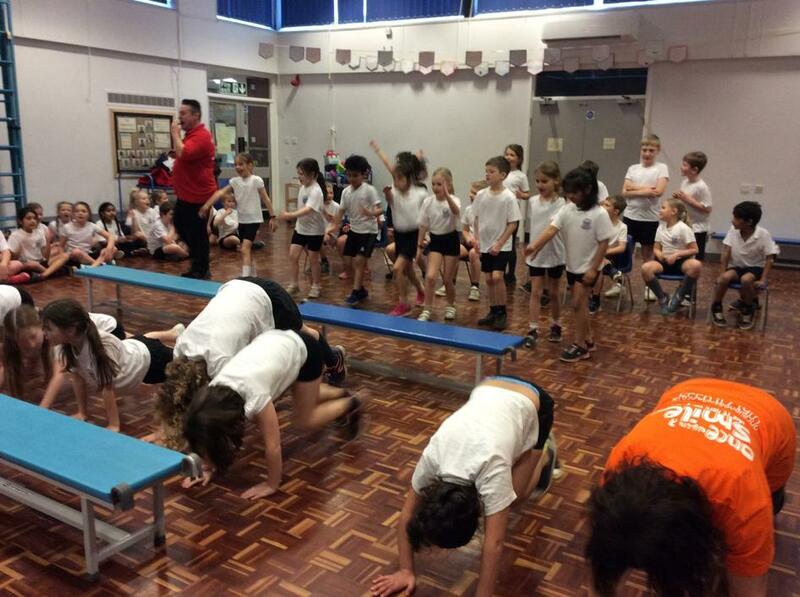 Paralympic medalist Michael Churm visited on Tuesday afternoon. 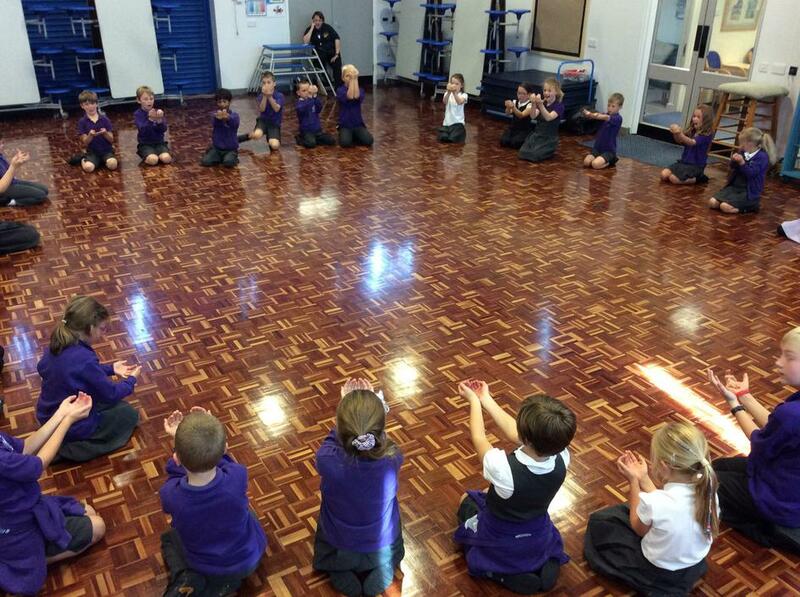 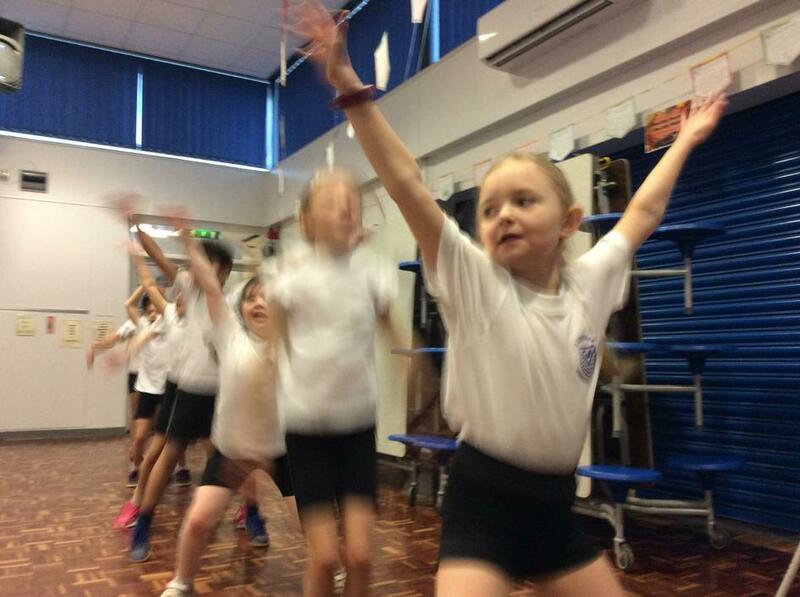 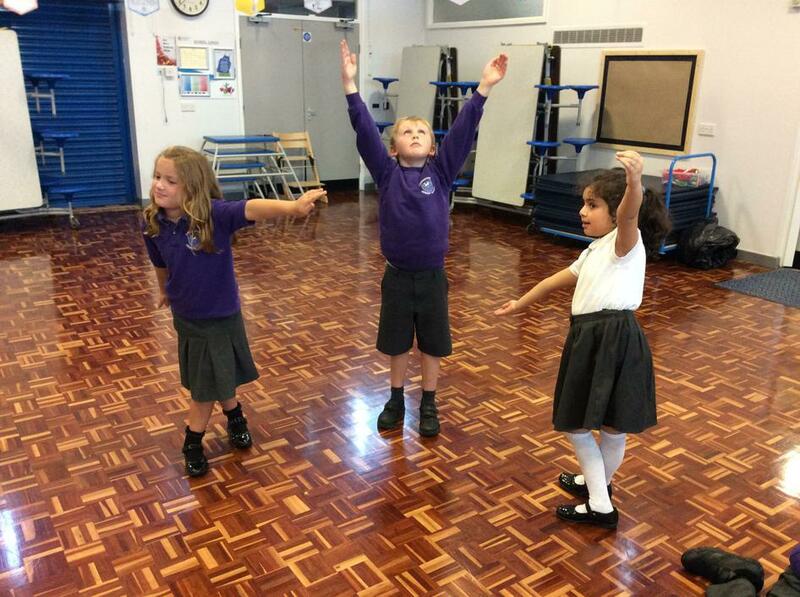 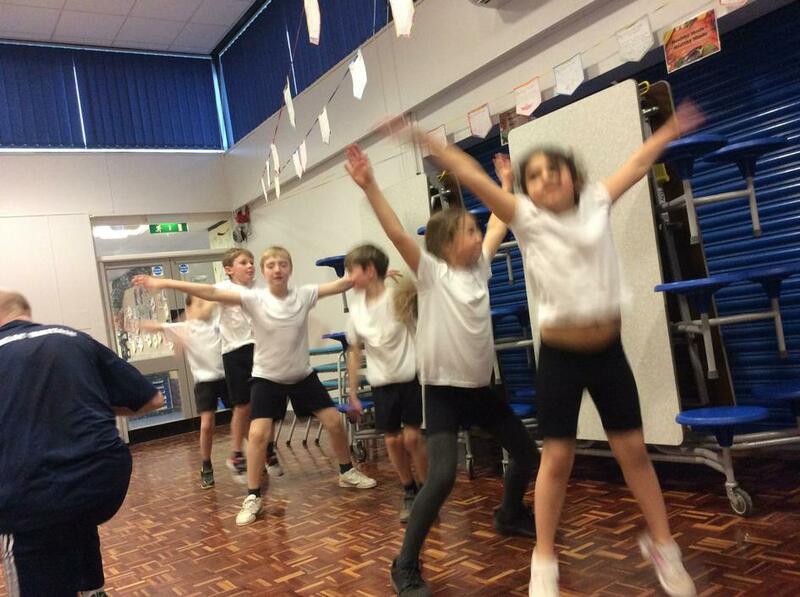 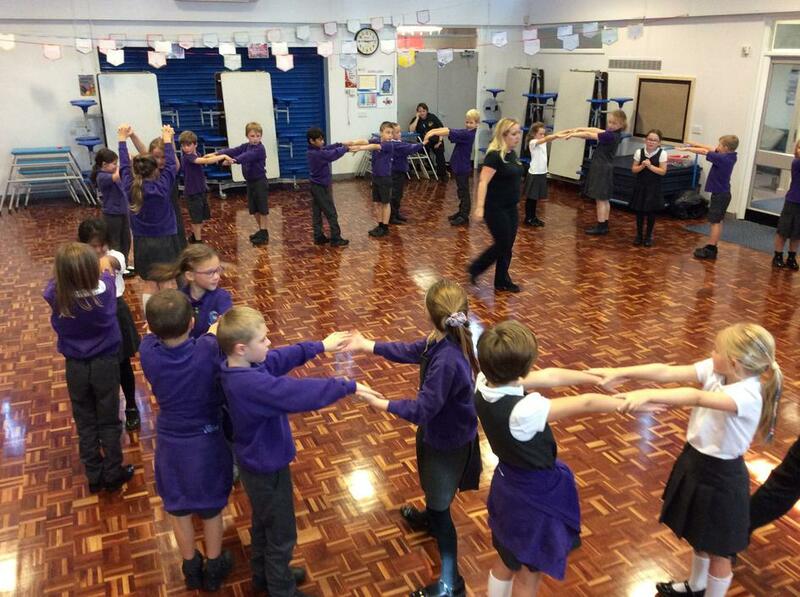 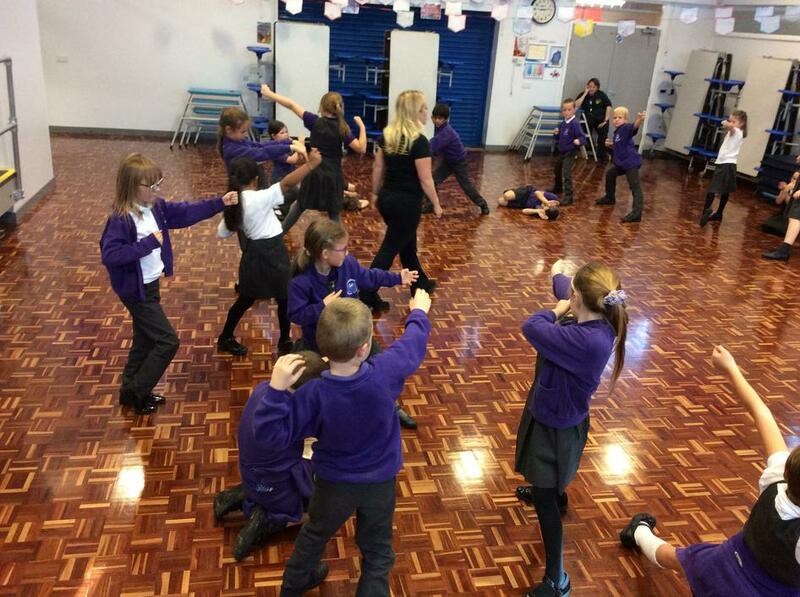 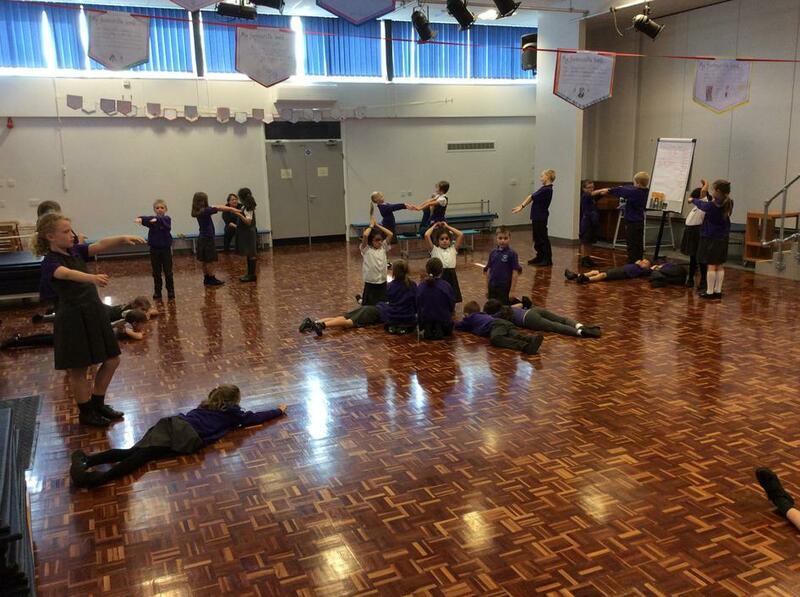 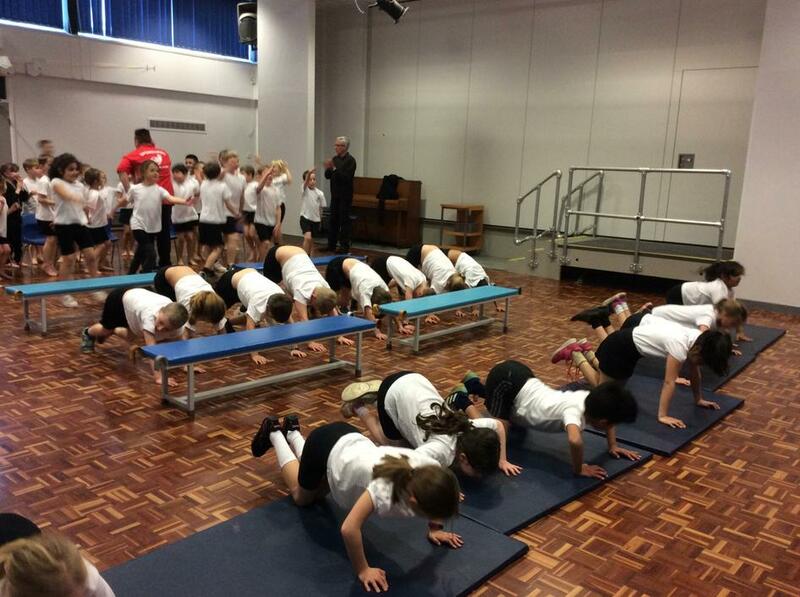 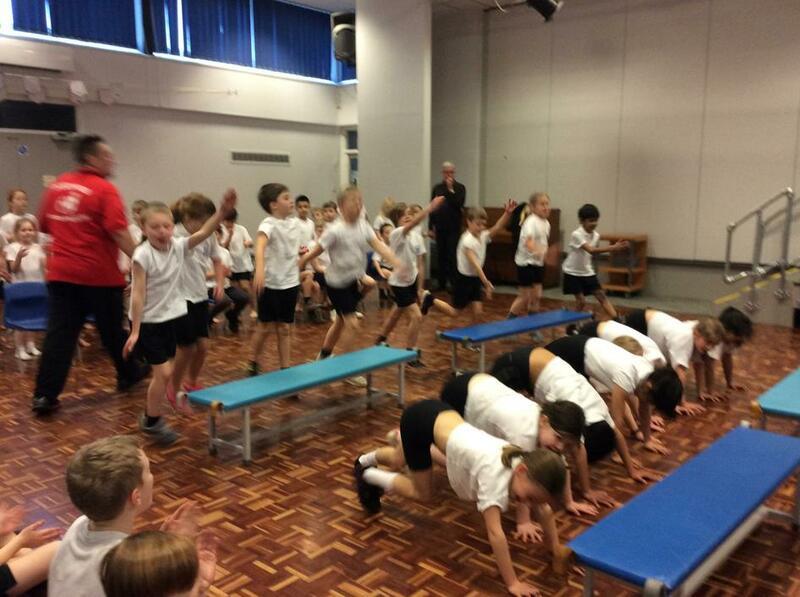 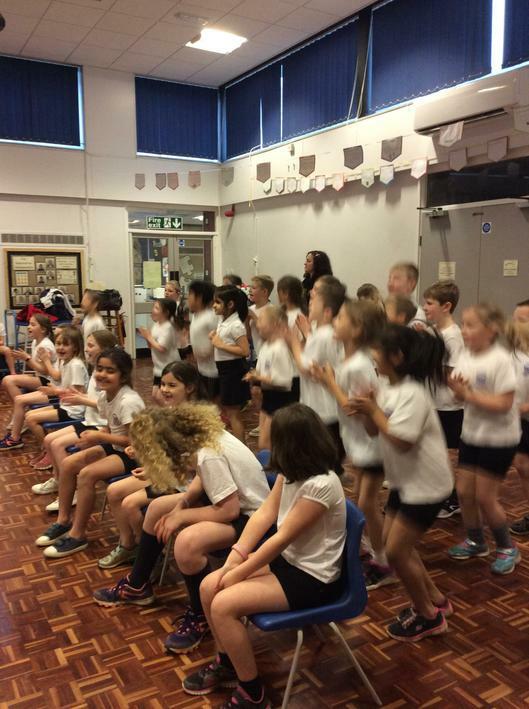 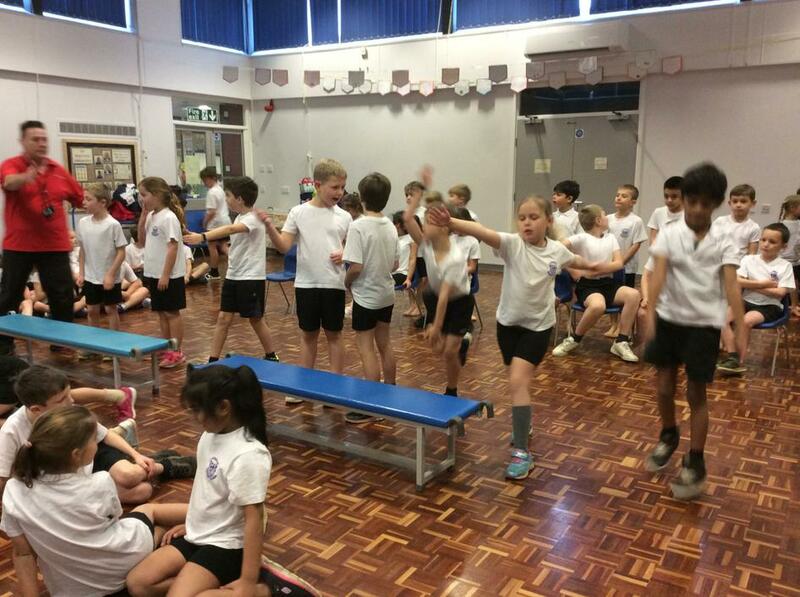 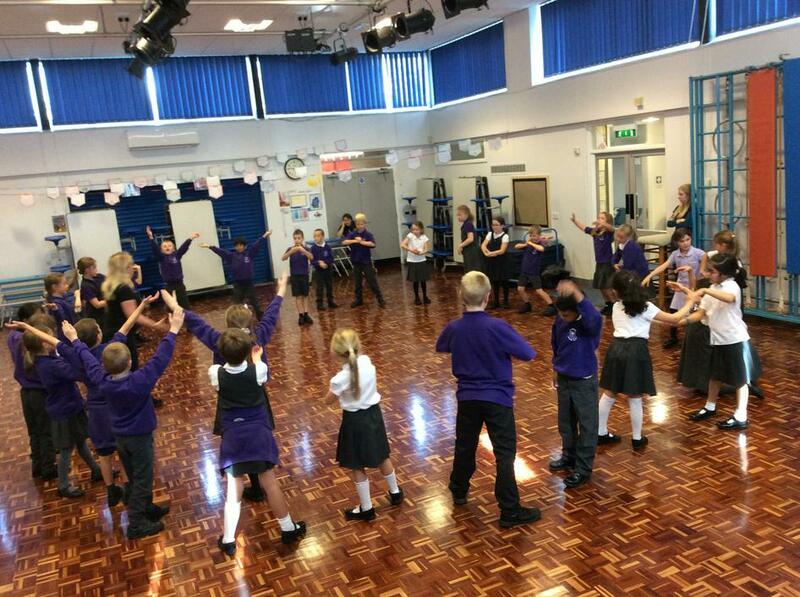 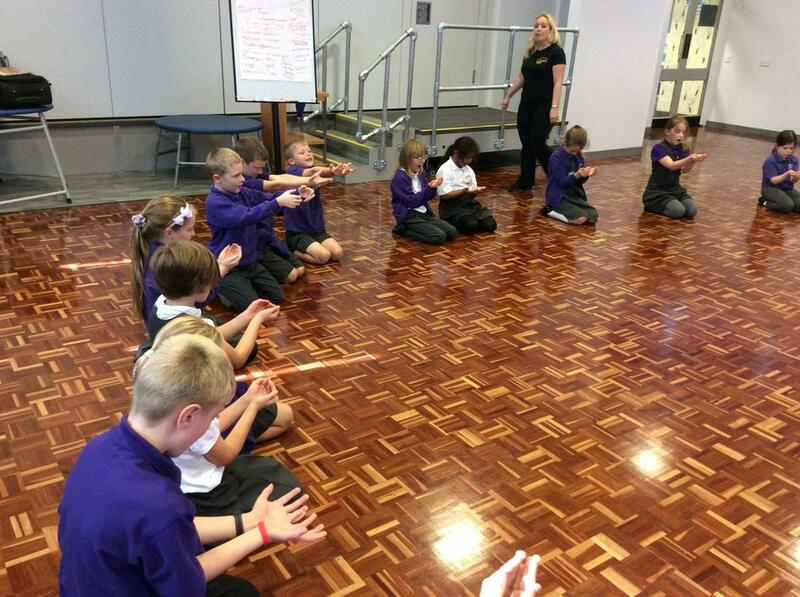 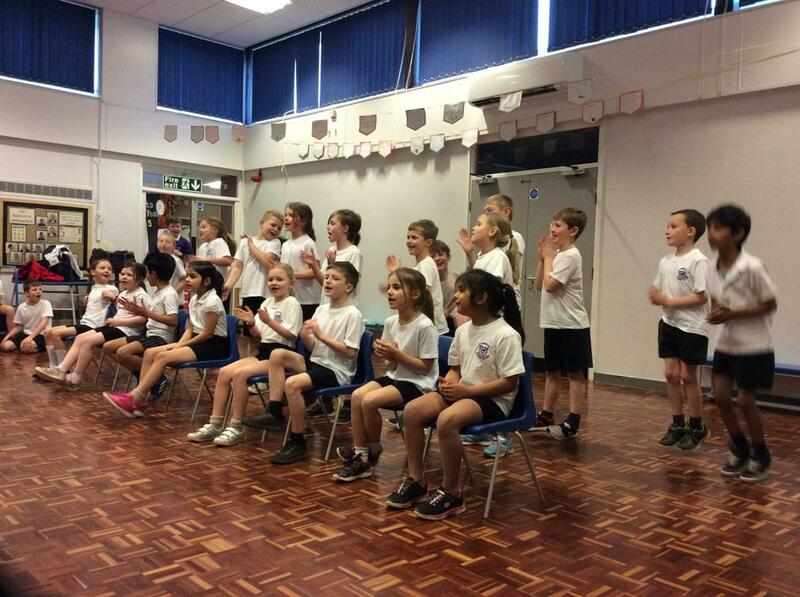 All of the children took part in a sponsored exercise session to raise money for Sport for Schools. 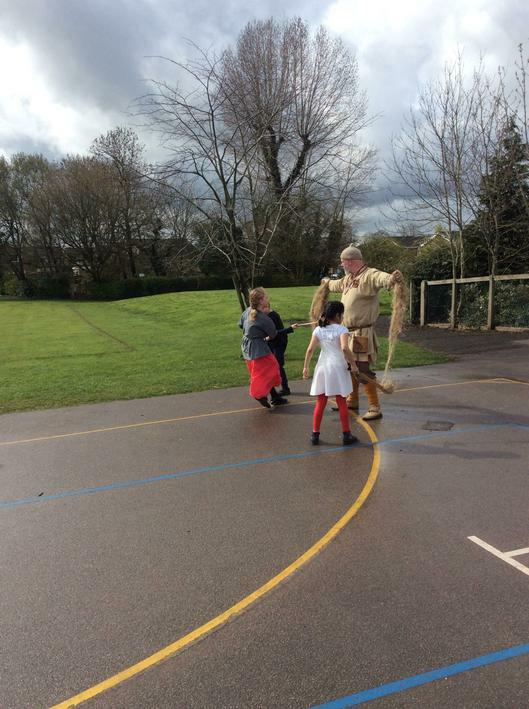 There are some photographs below, apologies a few are a little blurry because the children were moving so fast! 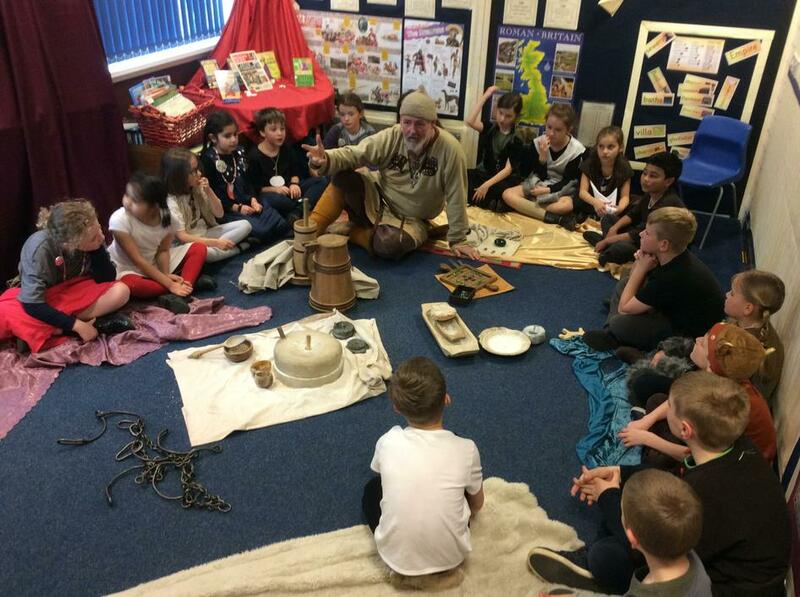 This term we will be finding out about the Roman and Viking times. 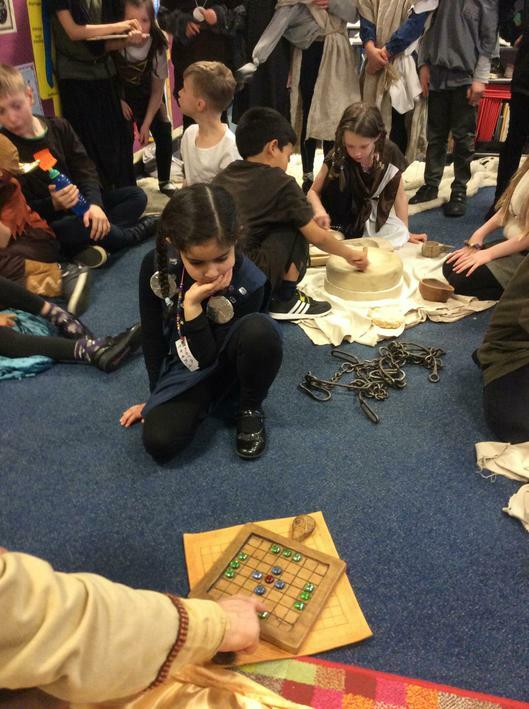 There will be plenty of interesting and exciting learning opportunities linked to the topic. 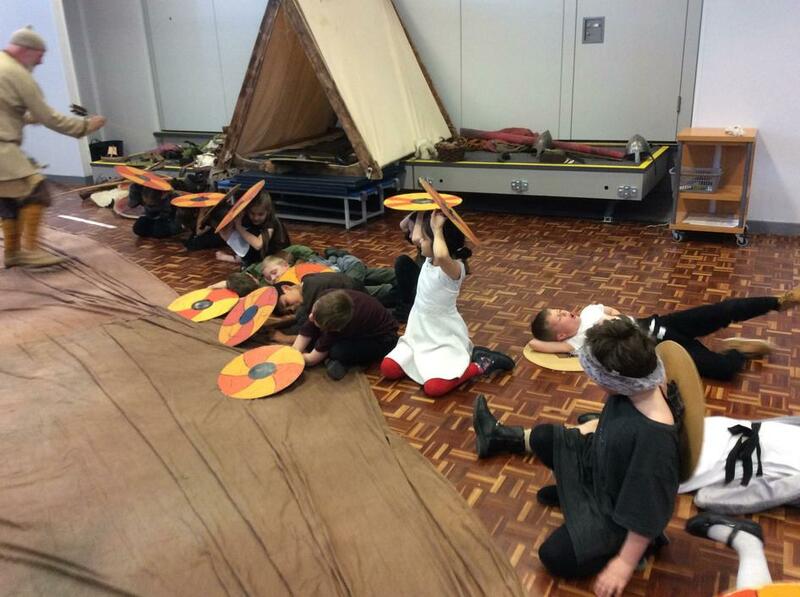 Our Literacy will link to the historical topic through themes such as leadership and influence. 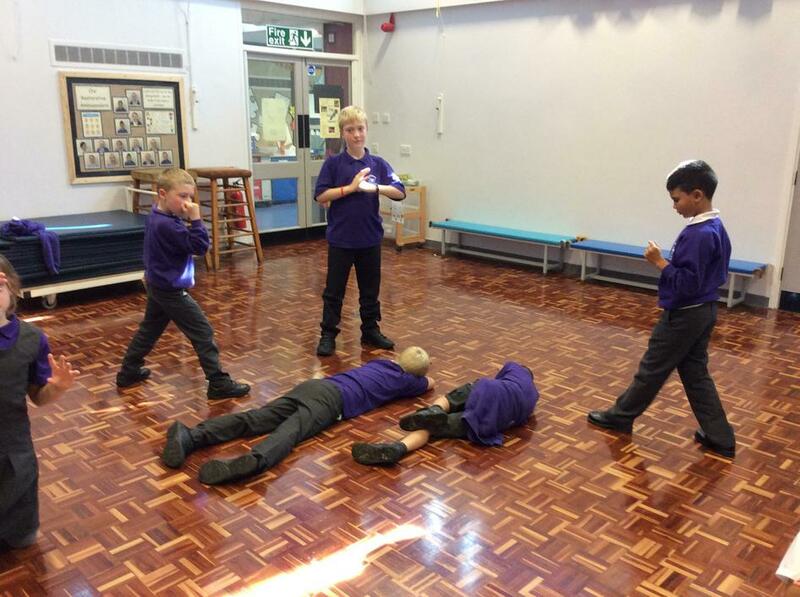 Our first topic is called Scavengers and Settlers. 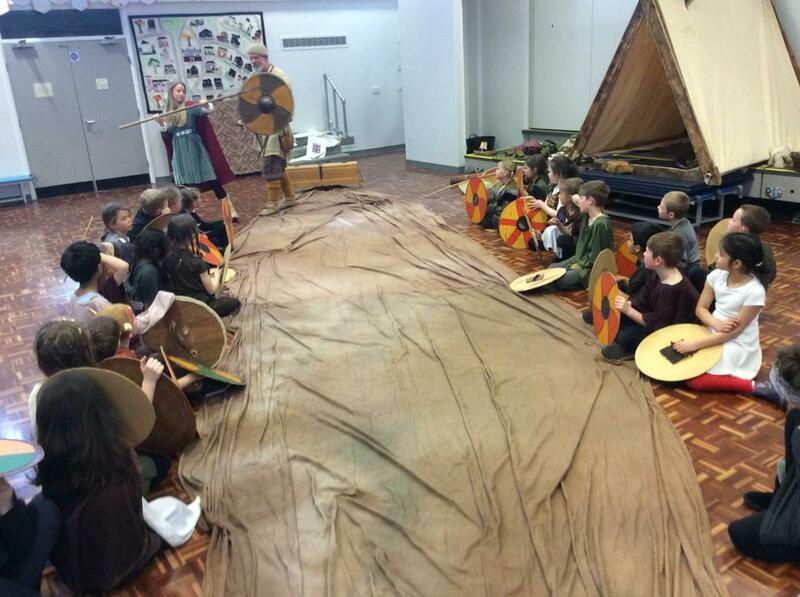 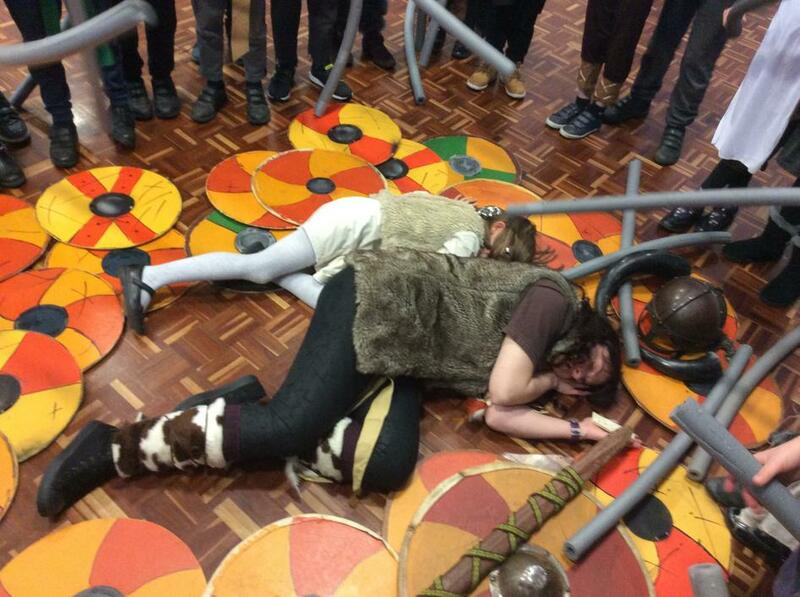 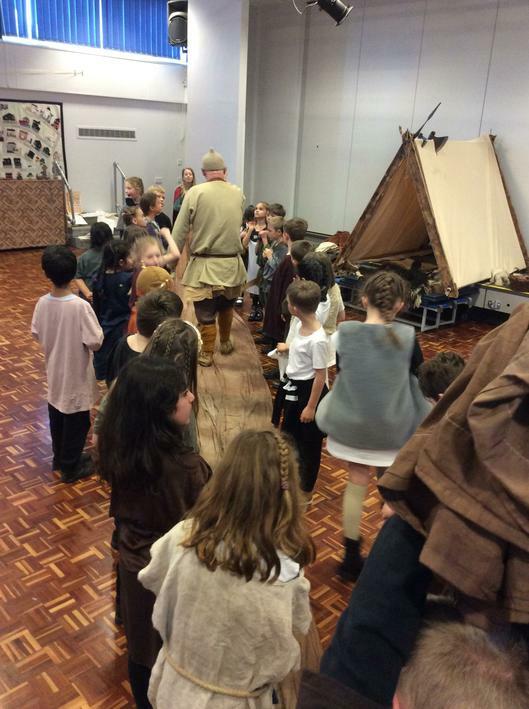 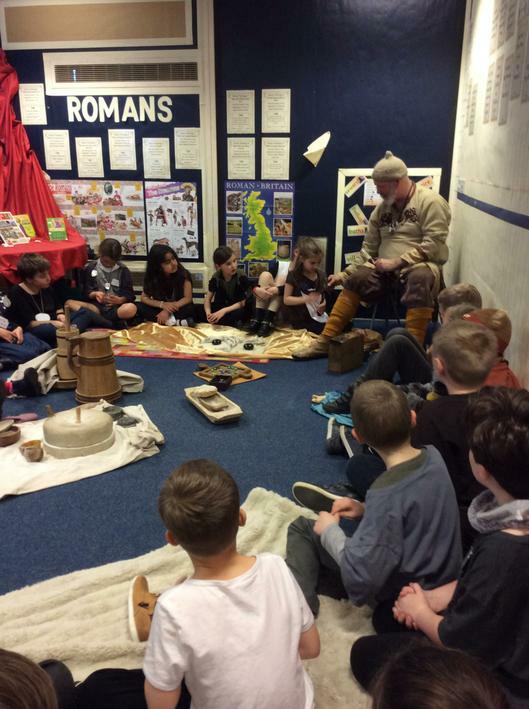 We have a historical theme looking at early life in the Stone Age, Bronze age and Iron Age. 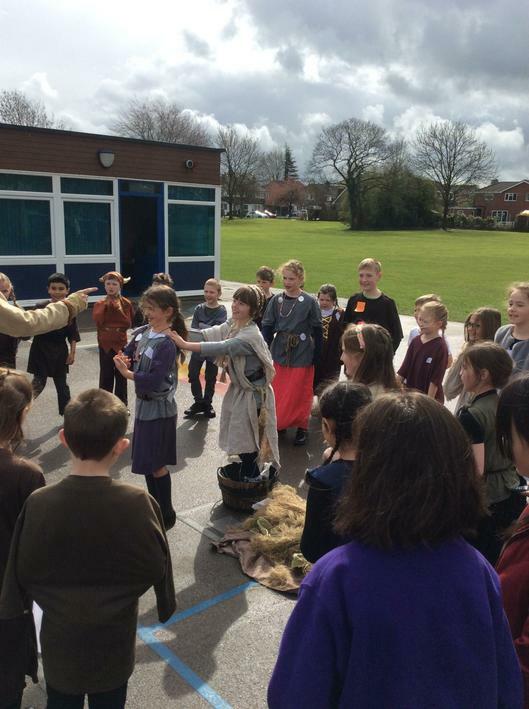 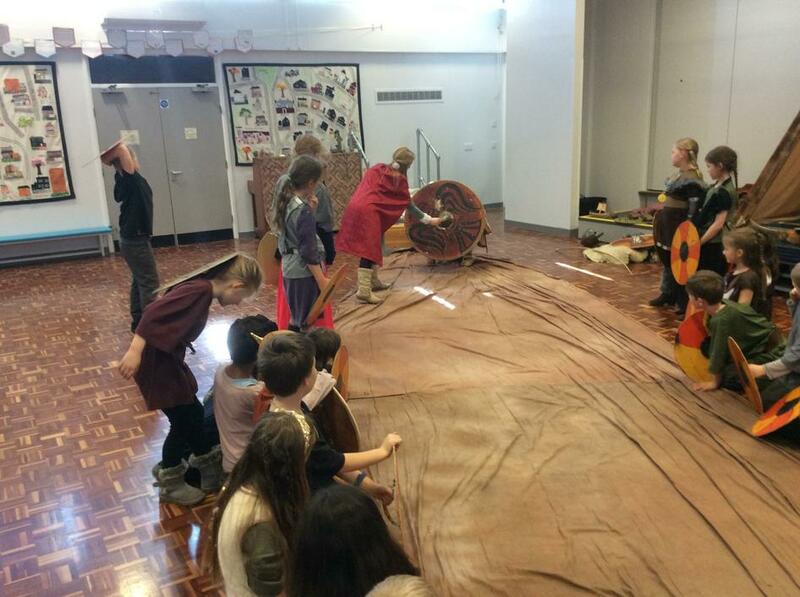 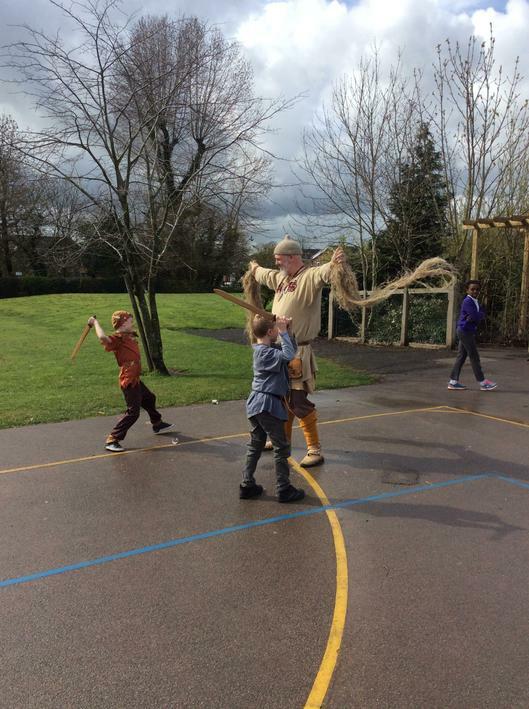 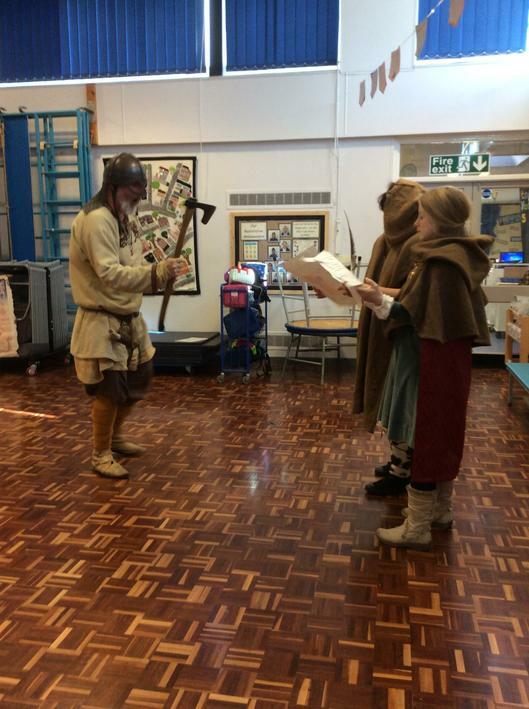 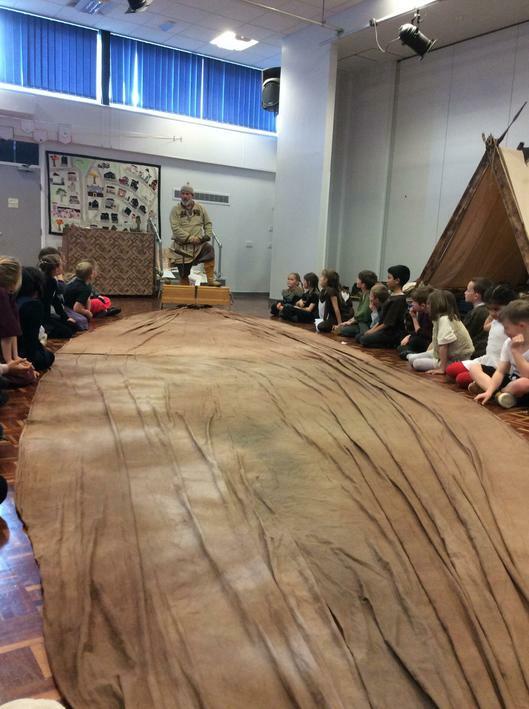 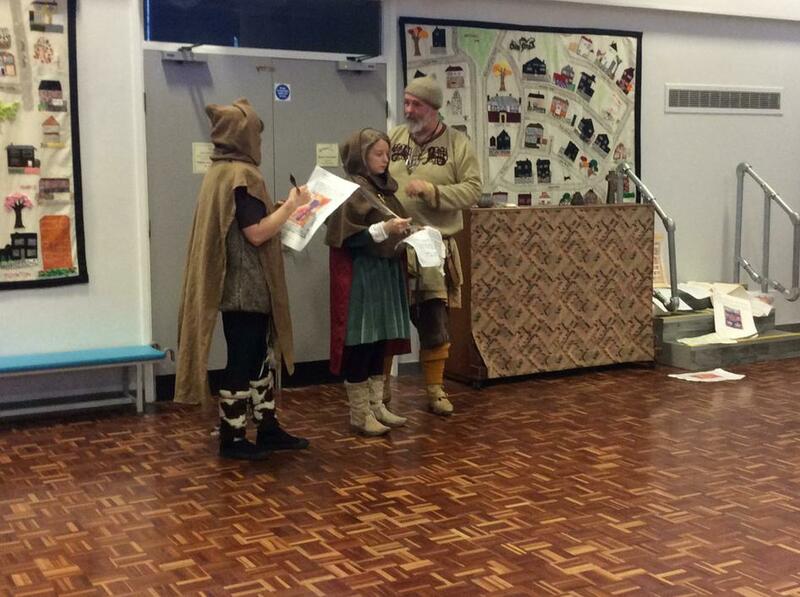 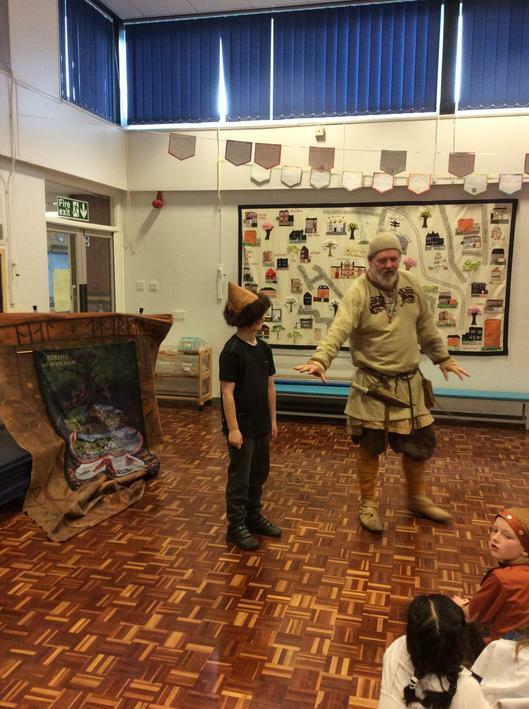 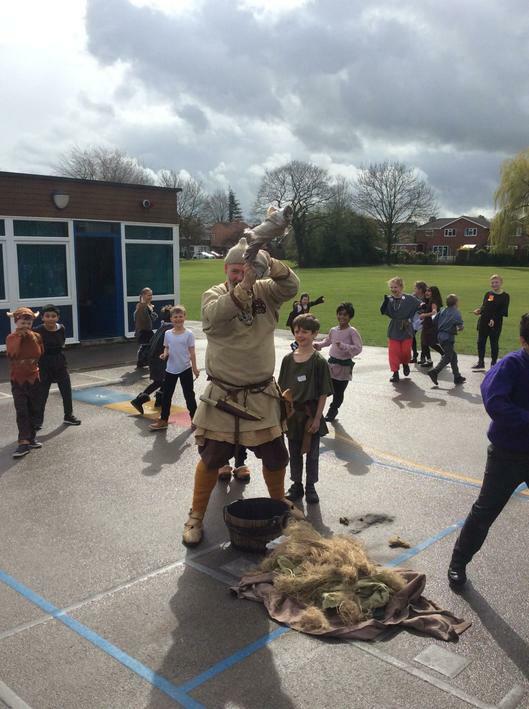 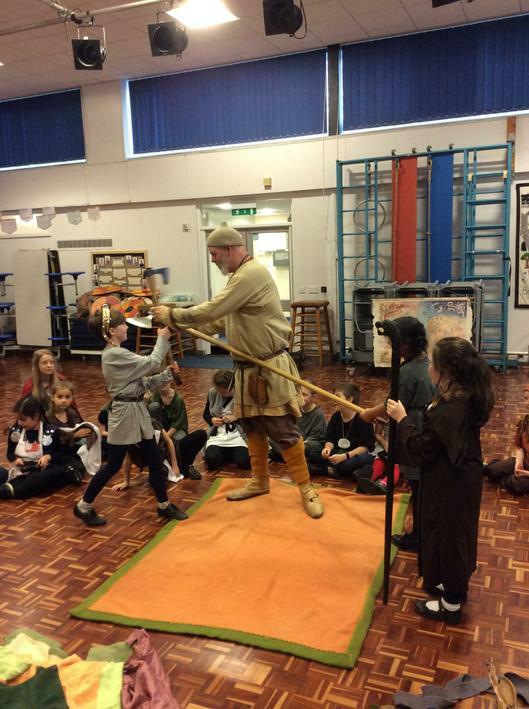 Last week we had a few special visitors who taught us so much about the Stone Age, Bronze Age and Iron Age through drama activities. 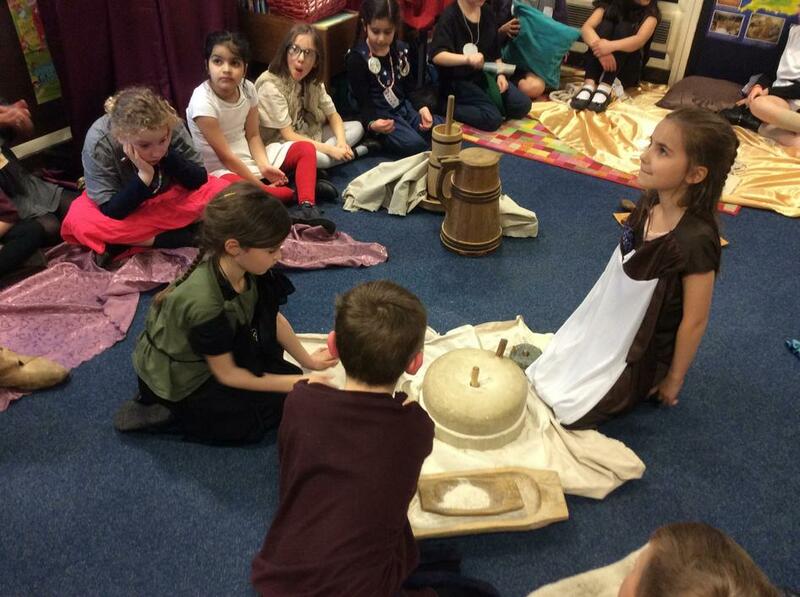 Have a look at the photos can you see Year 3 being cave paintings, homes, Stone Henge and Religious gods. 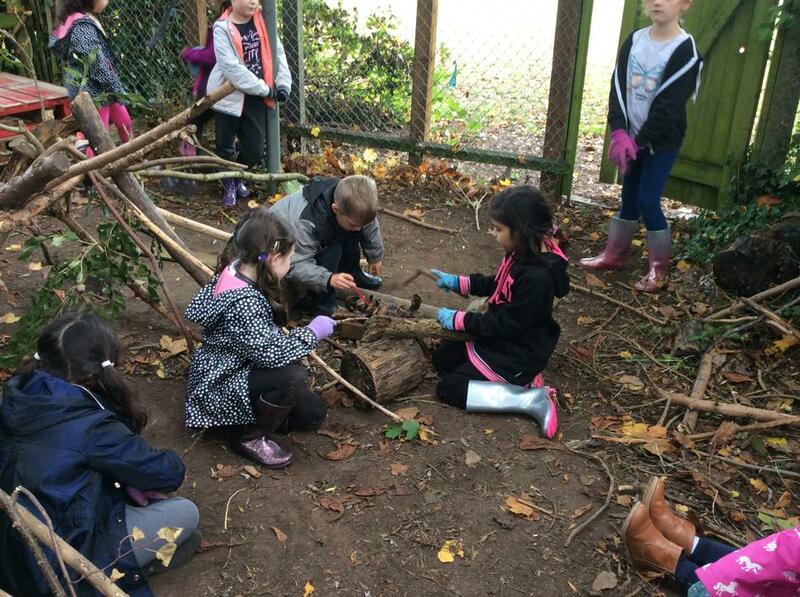 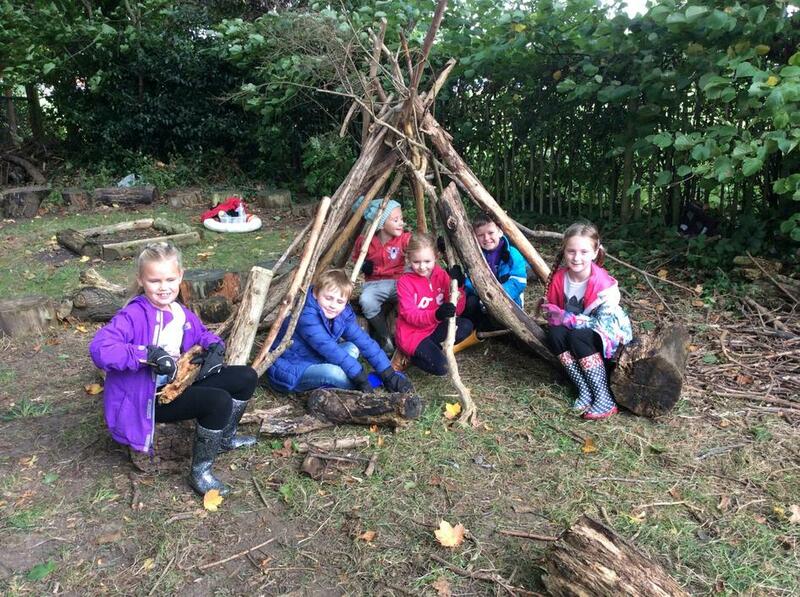 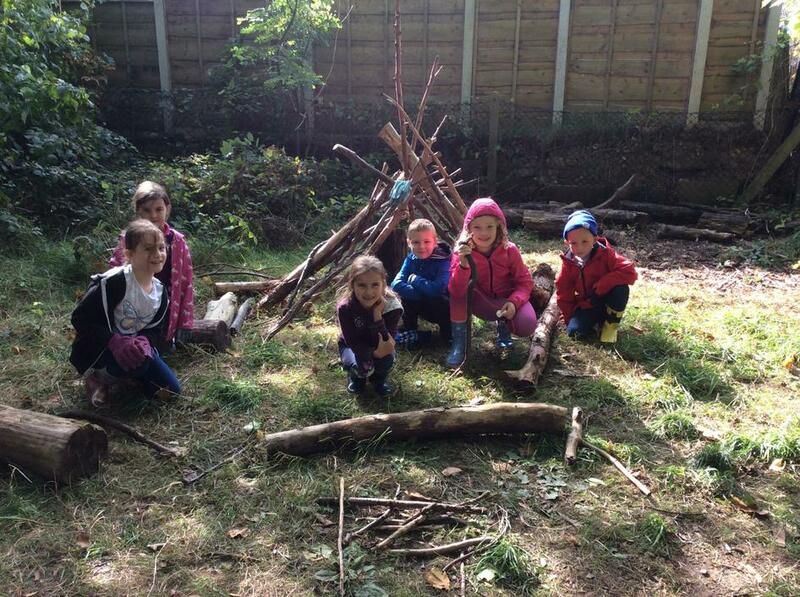 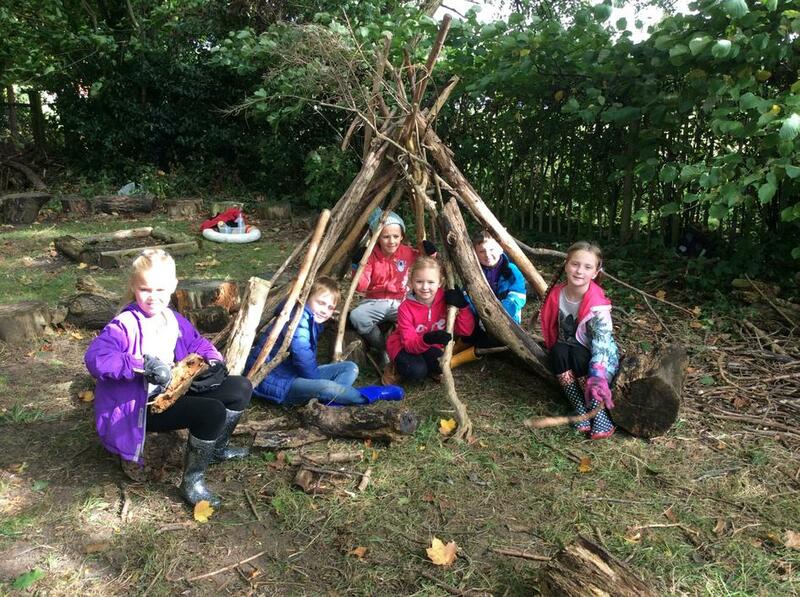 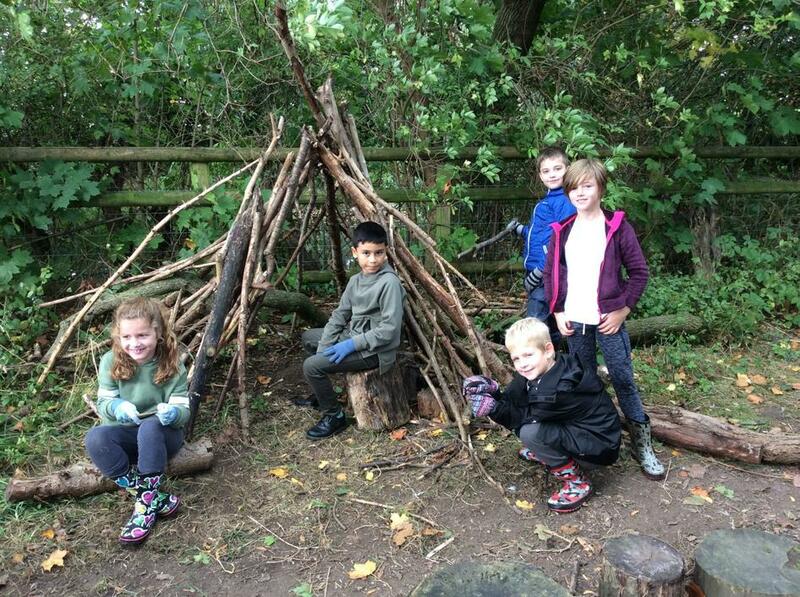 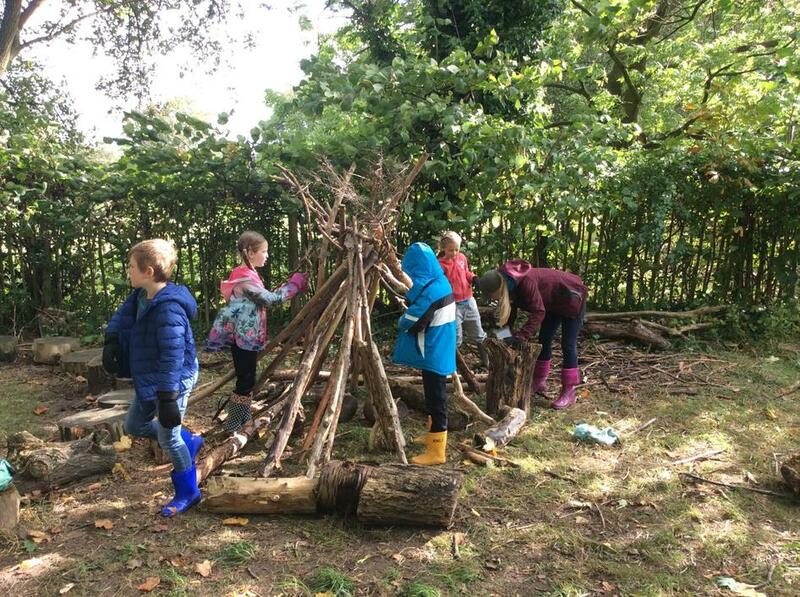 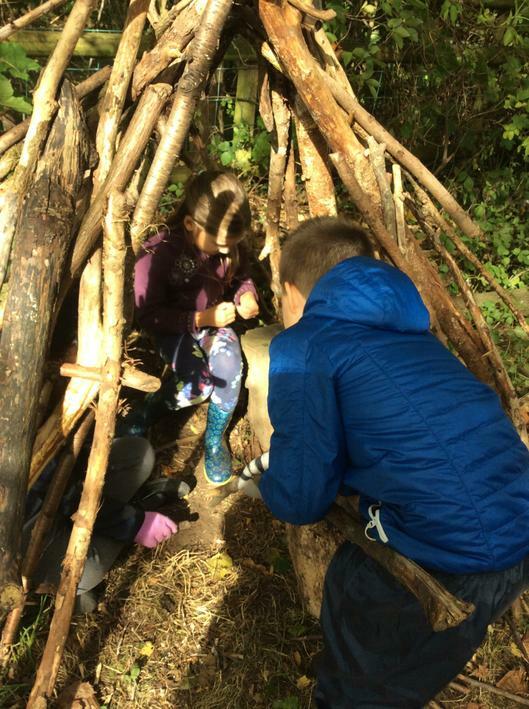 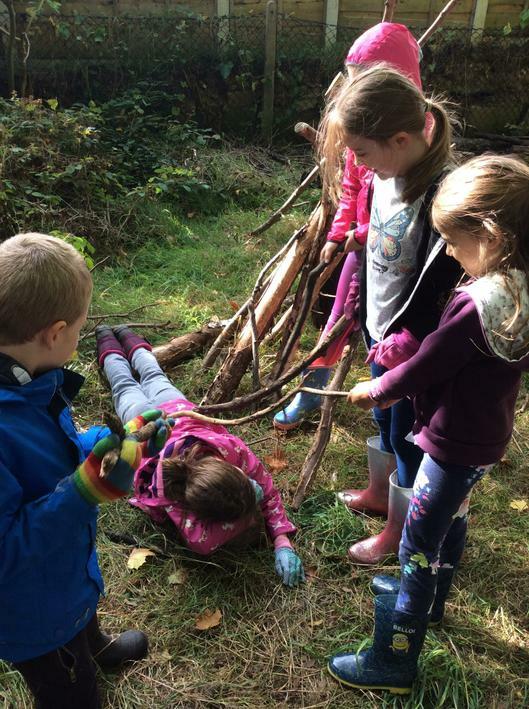 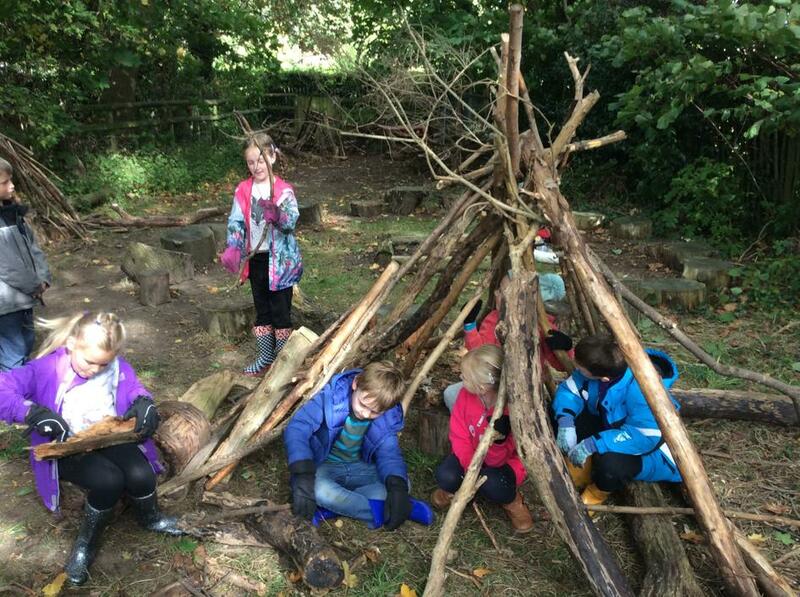 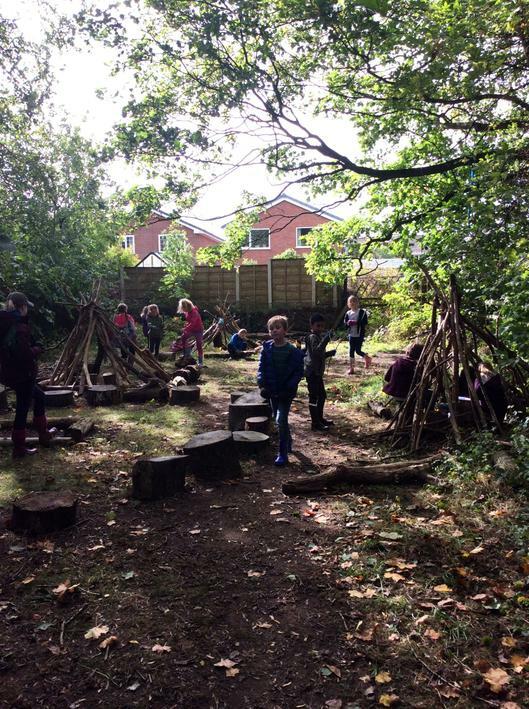 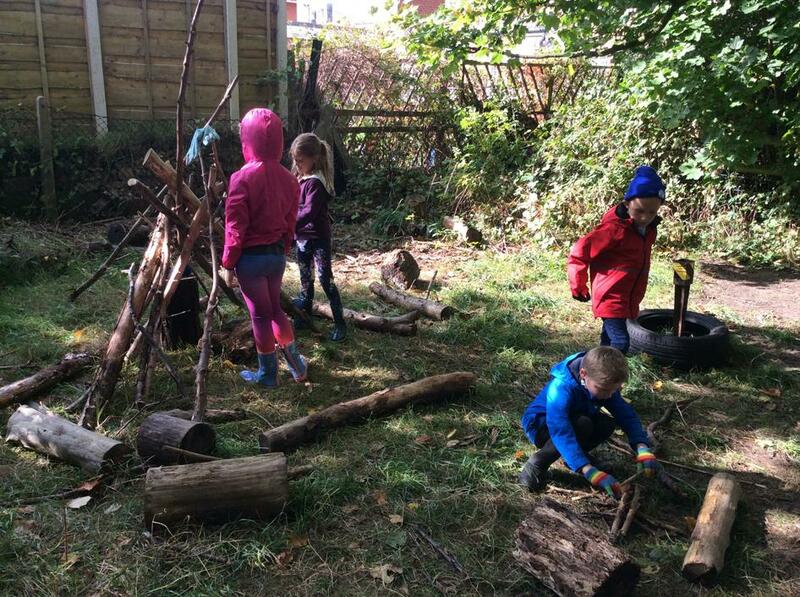 Year three spent a morning out at the pond area using the natural materials they could find to build their of Stone age dens. 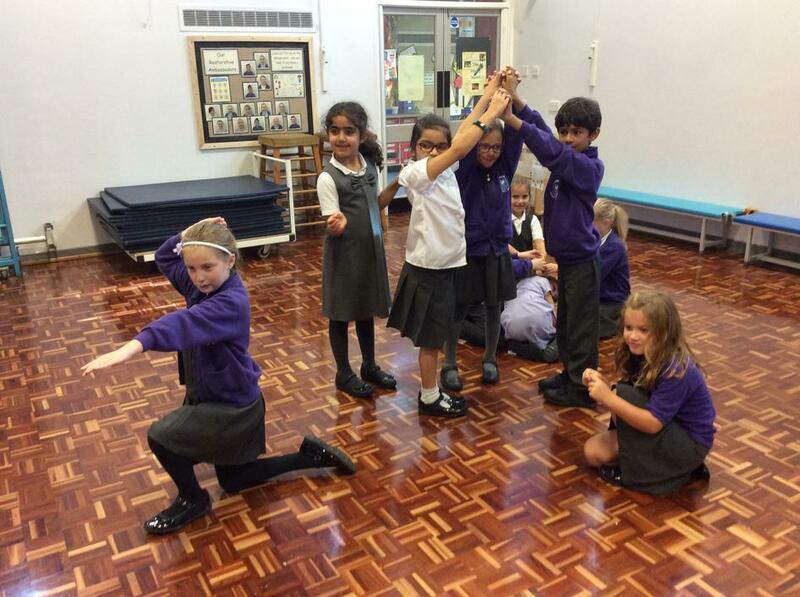 They worked together in teams of six, two groups decided to work together in a bigger group of twelve. 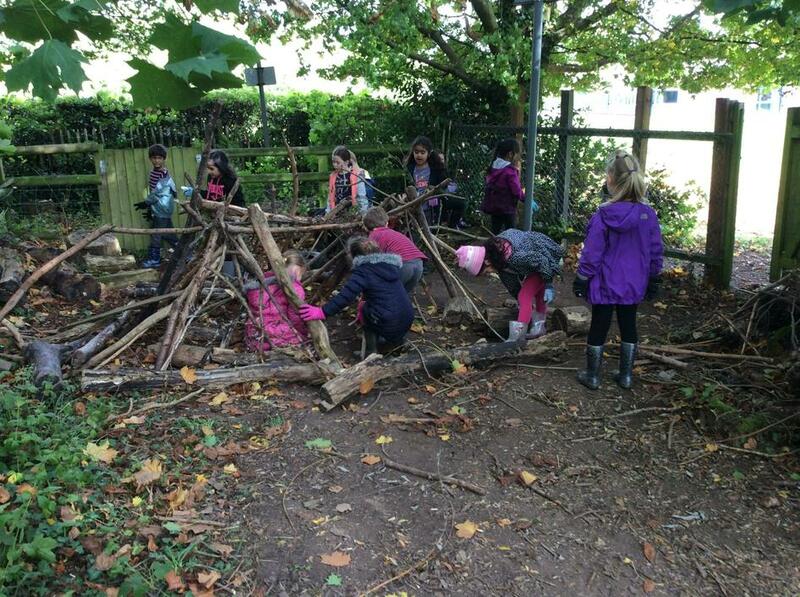 All teams worked together carefully. 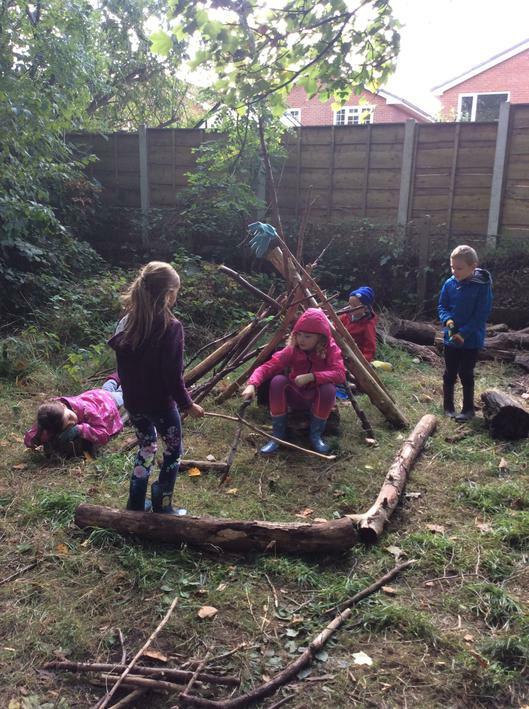 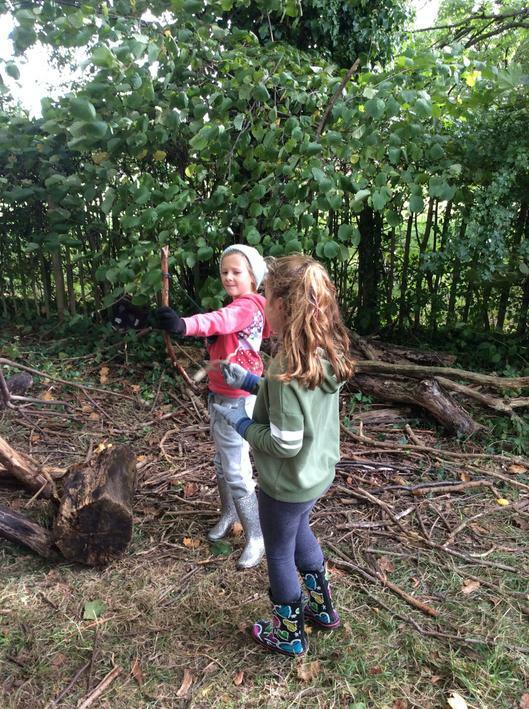 They then had time to explore the camp they had made, taking on roles as Stone age people. 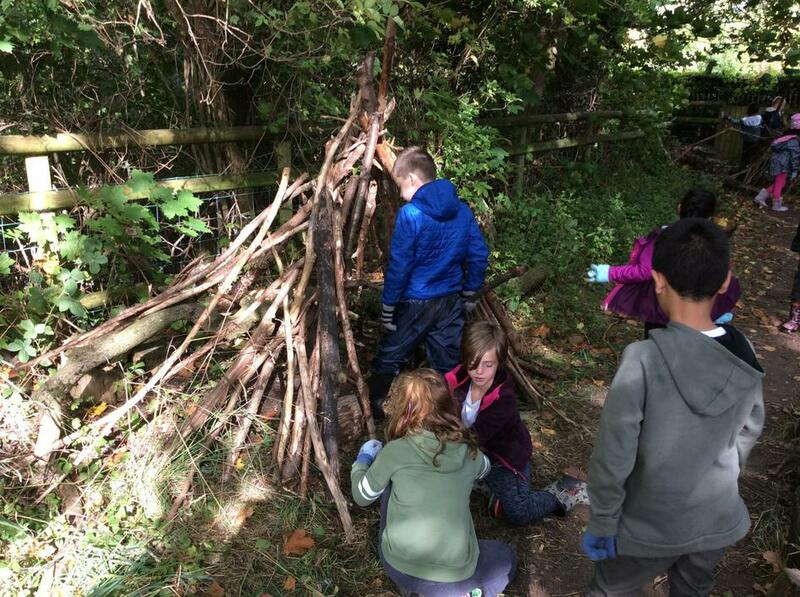 Have a look at the photographs can you see children hunting, gathering and tending to their camp?